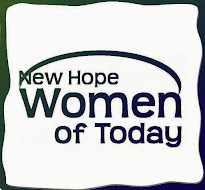 Everyone joined Women of Today for different reasons, but the creed says we are Service, Growth and Fellowship. We want to make sure we are offering all three of these to our membership. It’s easy to identify the Service and the Fellowship activities, but the Growth is something we may have to work on. Some members experience Growth as they volunteer to take Program Manager positions or serve on the Board; however, many over the years have experienced Growth through Personal Enrichment Courses they have taken or certifications they have completed. Certifications help you identify areas of your personal life and Women of Today involvement that can provide you with specific goals to achieve. If you set goals to achieve in your personal life, they can give you purpose and a feeling of achievement when you complete them. So Women of Today certifications are set up to be goals that members can achieve. When you complete the certifications, you are recognized by the State or National Organization. The areas of certification are Living and Learning, Personal Development, Health and Wellness, plus the STEP program, which we have not participated in for years. This program was the backbone of our Growth program when I joined many years ago. It was really helpful in my own Growth in the chapter. Several years ago, when I did Living and Learning, I made a packet of all the forms. Our chapter had great results with certifications when I did this, so I am doing that again! I will be passing out the packet to each member as well as emailing it out to all members. If you choose to complete any of the certifications, that is up to you. I will put names on each packet and give you a chance to fill them out at the meeting and then collect them after.